He’s got two legs, one tail and a shiny police badge! Can hybrid hero Dog Man stop a cat burglar’s purrfect crime? 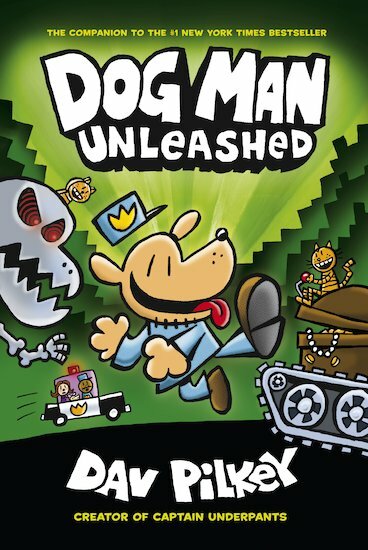 Dog Man is half dog, half man and ALL hero cop. (That’s what you get when you cross a policeman with his brave four-legged sidekick.) Like any cop, Dog Man hates crime. Like any dog, he loves chasing cats. And now Petey the criminal cat is loose in town! Will Dog Man catch this notorious cat burglar? Can he save the city? And will he finally impress the Chief? 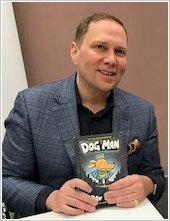 Only one thing’s for sure: Dav Pilkey’s barking mad hero will get you wagging your tail – and laughing way too hard. GN320L Lexiles are the global standard in reading assessment. They are unique as they are able to measure a child and a book on the same scale – ensuring the right book gets to the right child at the right time. Humphrey's Tiny Tales: My Treasure Hunt Trouble! I love dav and dogman!! !